There was an international food festival in Union House (in University) today. ex. Japanese club selling Okonomiyaki, Korean club selling koreanBBQ etc. 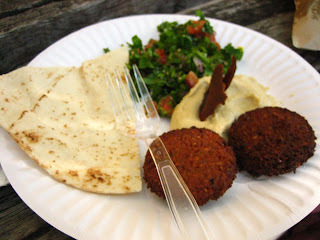 Today, I tried Lebanese food. I was scared that the curyy might be too spicy for me. But it was choooo yum!! 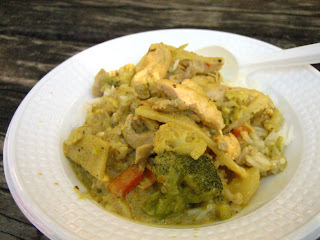 I wanna try cooking green curry soon! !